Get ready to experience the very best in automotive excellence with the War of the Worlds. This experience includes 5 laps in the Porsche 911 GT3, one of the most nimble and responsive supercars ever! 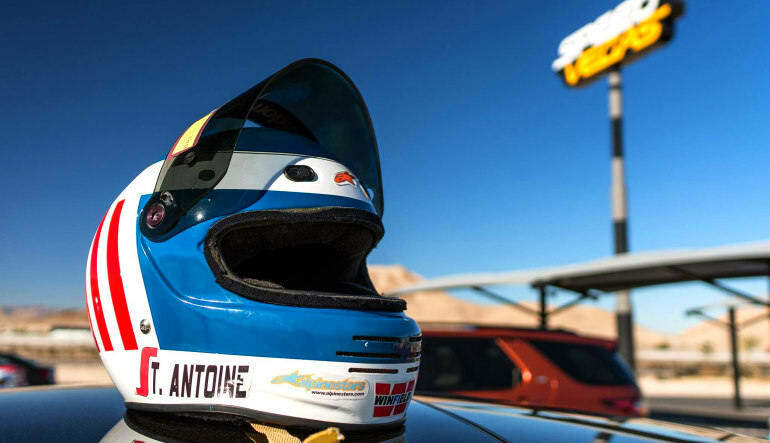 Two competitors from different sides of the globe face off on one of Las Vegas’s longest racetracks—and you get to drive them both! 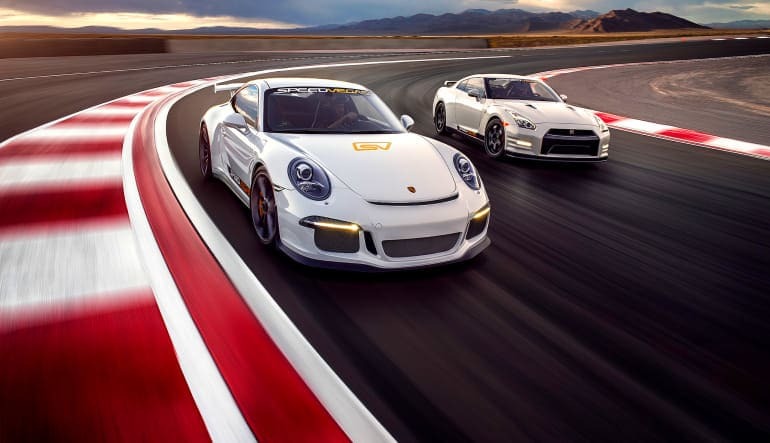 This supercar experience puts you behind the wheel of a Porsche 911 GT3 and a Nissan GTR Nismo for total 10 laps of adrenaline! 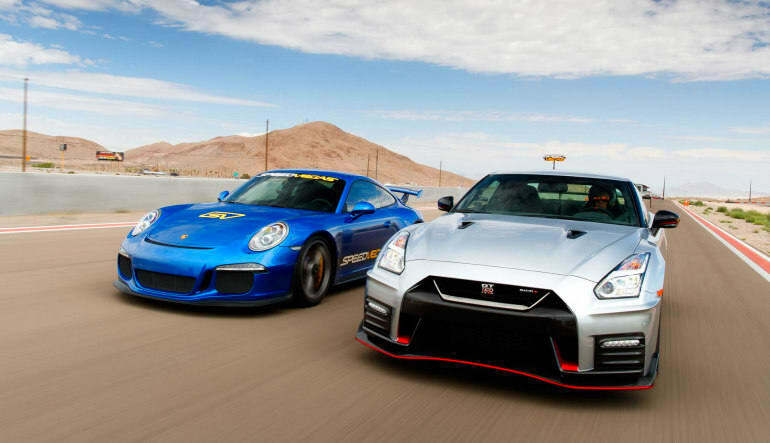 Take 5 laps in a Porsche 911 GT3 and 5 laps in a Nissan GTR Nismo—a total of 15 miles! Push the cars to their limits on a track with a 2,200 ft straightaway! Conquer a dozen banked turns. Gain insight into what’s under the hood from expert instructors. Access both the pit area and VIP lounge. The GT3 stands out from its 911 predecessors. The model’s reworked 4.0-liter six-cylinder engine is a major improvement from the 3.8. It moves 0-60 in 3.3 seconds and has a top speed of 195 mph. Steering agility is next level, demanding little effort to get through this track’s corners. The Nismo boasts a 3.8-liter twin turbo engine connected to a six-speed twin-clutch gearbox. The engine offers 592bph and 481lb ft of torque. It’s a four-wheel drive machine that’s extraordinarily quick. 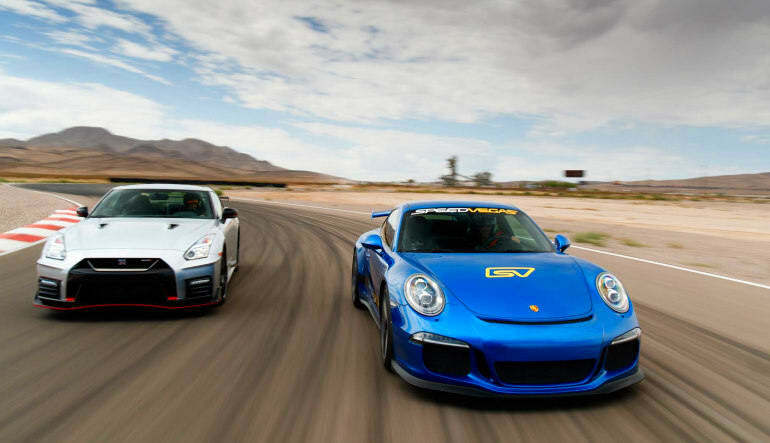 At 2.7 seconds, its 0-60 has a slight edge on the GT3’s. It matches the Porsche’s top speed of 195 mph. Comparing these two cars is an interesting exercise. Although the GT3 doesn’t pack the same horsepower as the Nismo, it’s a significantly lighter vehicle. And while the Nismo’s 4-wheel drive gives it an edge on launch, the GT3 has a phenomenal mid-range. See for yourself which supercar reigns supreme!